Permits have been filed for a seven-story mixed-use building at 33-10 38th Avenue in Long Island City, Queens. The site is one block from the 36th Street subway station, serviced by the E, M, and R trains, and four blocks from the 39th Avenue subway station, serviced by the N and W trains. Ravi Patel is listed as behind the applications. The 75-foot tall structure will yield 16,700 square feet, with 13,775 square feet dedicated to residential use and 2,950 square feet for unspecified community facility use. 20 apartments will be created, averaging 690 square feet apiece, indicating rentals. A 20-car garage will occupy the ground floor and cellar. No amenities are specified, though residents will have access to the roof. GreenbergFarrow is listed as responsible for the design. Demolition permits have not yet been filed for the existing structure. The estimated completion date has not been announced. 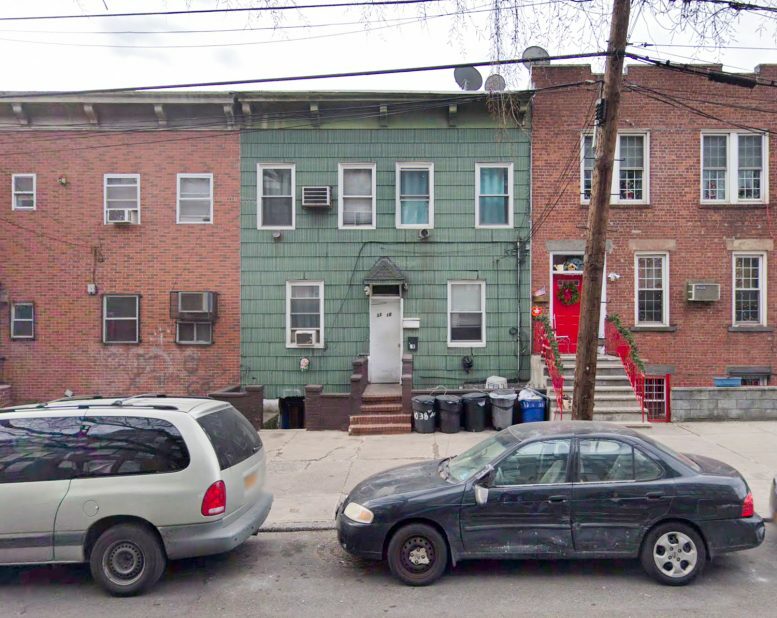 2 Comments on "Permits Filed for 33-10 38th Avenue, Long Island City, Queens"
This is why upzoning is important. The land for one single family home will now provide housing for 20 families.